from Balboa Press, a division of Hay House Does it ever seem to you that something is wrong with the fact that human beings endure so much suffering and difficulty in life? 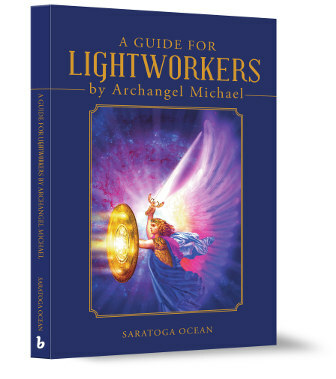 Have you secretly held the following question in your heart: “If God is Love, then why is there suffering?” A Guide for Lightworkers by Archangel Michael will completely transform your consciousness, as Saratoga and this powerful angel take you on an amazing journey that allows you to see the answer to this question for yourself. The answer is not philosophical, but rather needs to be shown. As you read, you will witness a profound paradigm shift occurring in your consciousness, and an awakening vision that connects you to your heart in the deepest possible way. Follow this amazing journey of love, as you find the place of deepest solace, peace, and refuge within yourself. This is a place connected to the real universe of God, where only infinite love exists.